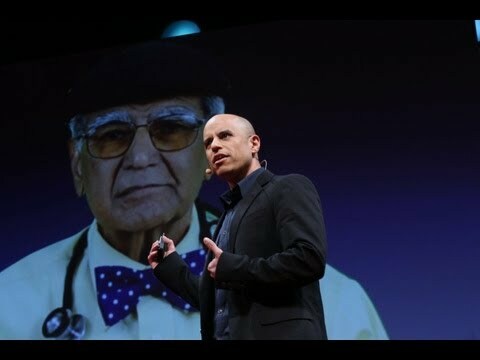 Zubin Damania, a doctor who brought the TEDMED 2013 audience to its feet at the Kennedy Center in April with his vow to radically improve health care delivery, has taken new steps towards doing so. Damania is Director of Healthcare Development for Downtown Project Las Vegas, an urban revitalization movement led by Zappos.com CEO Tony Hsieh, and is founding a primary care clinic with the goal of emphasizing preventive care and providing more — and more attentive — patient interaction, access and care management than traditional fee-for-service systems. The clinic will run on a membership model whereby patients will pay a monthly fee, which Damania says will be less than $100, for unlimited primary care that includes all preventive care and non-emergency sick visits, as well as e-mail and video chats with doctors, nurses, health coaches and social workers. A yoga studio, demonstration gym and teaching kitchen on the flagship site will offer free classes. Staff will also coordinate care with specialists, should the need arise, hopefully helping patients navigate the system and reducing unnecessary treatment. “The episode nature of care currently in primary care does a disservice to patients. You’re seeing patients for 10 minutes and then the rest of their life continues. If we can…weave ourselves into the fabrics of patient’s lives a little bit better, we think that we can accomplish wellness,” Damania said in an interview with Nevada Public Radio. The Downtown clinic has also recently brought in Iora Health of Cambridge, MA to be its health care provider. The seven-year-old company has developed a number of innovative care models, including insurance geared towards freelancers and a clinic that serves hotel and restaurant workers with severe or chronic illnesses. The Las Vegas clinic is slated to open by early 2014. Next Next post: Can med students learn better with Osmosis?